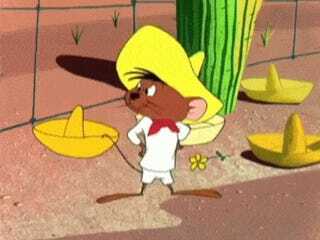 Speedy Gonzales is getting his own movie! So why are people so worried about issues of racism? I was ecstatic to find out about Speedy’s new film - he is my spirit animal - but I noticed a lot of commenters wondering if this was racist, or if “SJWs” would start complaining. Since a history lesson is in order, I decided to write up a quick history on the Fastest Mouse in All Mexico, including why there’s a controversy, that time when Speedy was banned from television, and even when my own South Texas community was targeted by racists using Speedy Gonzales as a tool for evil - and why we still love him. Check it out when you get a second.